CHICAGO--(BUSINESS WIRE)--Adtalem Global Education (NYSE: ATGE), a leading global education provider, was honored for the second time with the Best in Show award at the annual International Meeting for Simulation in Healthcare, recently held in Los Angeles, California. The Adtalem team shared its award with Arch Virtual for their Virtual Reality Airway Learning Lab, a program that uses cutting edge virtual reality technology in clinical education. 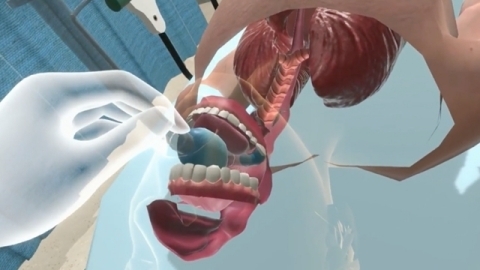 The Virtual Reality Airway Lab uses the Oculus Rift virtual reality system to provide an immersive learning experience that leverages interactive, high-definition applied anatomy imagery to situate core concepts for medical, nursing and health sciences education. Adtalem’s innovation and technology team focuses on developing simulation, gaming and virtual reality technology to support all its educational institutions, including programs in medical, veterinary, nursing and allied health education. This was the second time that Adtalem has won the Best in Show award, having won in 2016 for demonstrating a mixed-reality imaging system designed to support anatomy and physiology education. 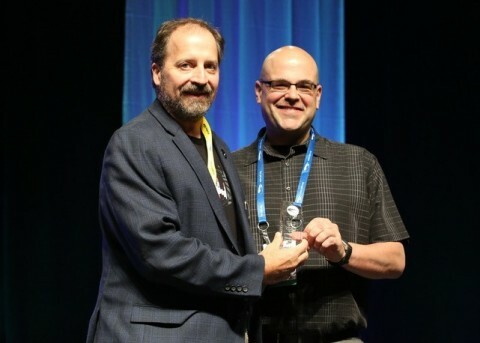 In addition to winning Best in Show, Adtalem’s senior leader for innovation, Eric Bauman, PhD, FSSH, RN, was presented with the Leadership Award for Serious Games and Virtual Environments for his numerous contributions to the field of healthcare simulation.